Let's start by softening the round rice paper: In a plate covered by warm water, place the rice paper in it, carefully, for 1 minute, until totally soften. Lay rice papers on a clean rag. 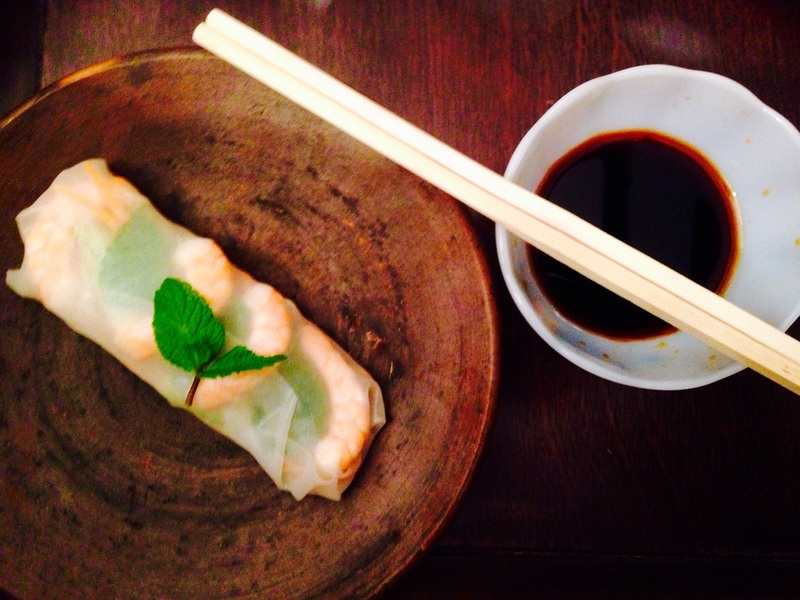 Arrange 4 shrimps at the bottom of the rice paper, then 3 fresh mint leaves. Top with a bit of grated carrot, 3 cucumber sticks, 2 black radish sticks, a tiny hand of soya bean sprout. At this moment you can actually add pretty much anything you have in mind (coriander, peanuts, parsley...) But always keep about 2 inches uncovered on each side. Now let's roll: Fold uncovered sides inward, cover the bottom first and then tightly roll the rice paper. For the sauce, I like to serve and eat them with soya sauce but feel free to make a dressing with rice vinegar, fish sauce, water and sugar.